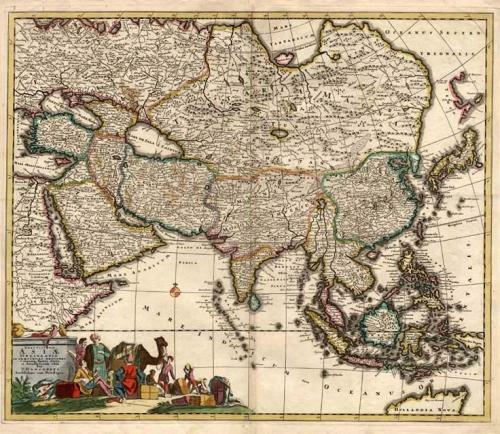 An attractive full colour example of Danckerts scarce map of Asia and the Northern part of Australia based on De Wit. The map extends North to the unknown coasts of Yesso and has an interesting projection of Japan and good detail in China, including naming Formosa. A good example of this scarce map in very good condition and on bright quality paper. There is a very small worm hole within the image area and some very minor scattered toning.